We read the story Tops and Bottoms this week. The kids just love that book! 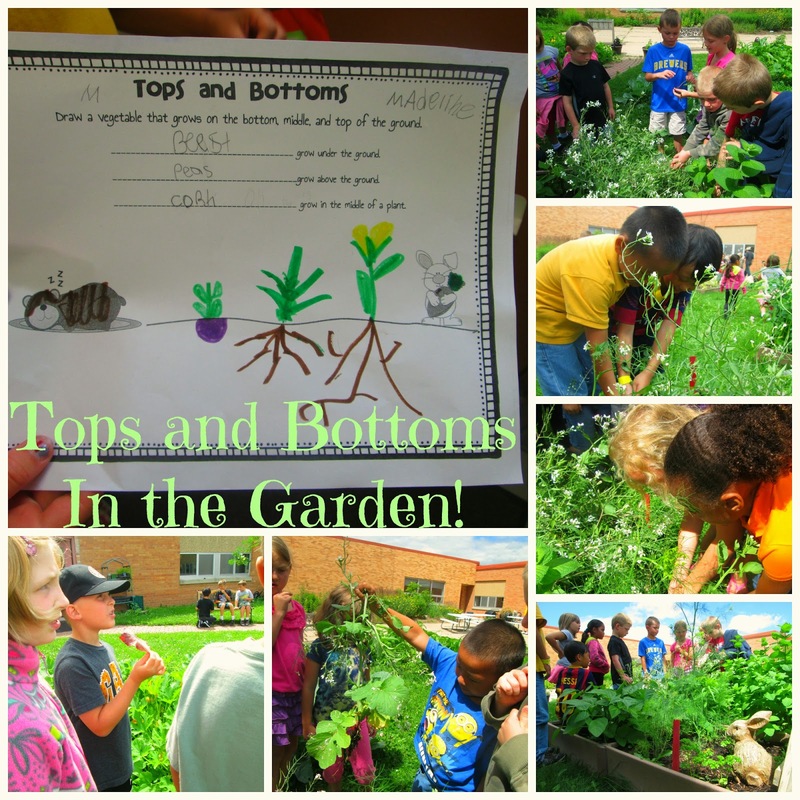 Now, onto the garden...we went out in search of tops, bottoms, and middles to eat. We got to have the tops...lettuce. The middles...peas (sweet as sugar! )...and bottoms...radishes. Aren't they so cute picking and eating???!!! Pulling radishes that have gone to seed! The bottoms! He pulled out the biggest radish. Gardening is so much fun! My little sweet pea...he's my cousin! Would love to see your garden growing, too. Anyone out there have a school garden? We are adding harvest of the month and taste testing this year! Let me know if you have any suggestions! Would love to connect!